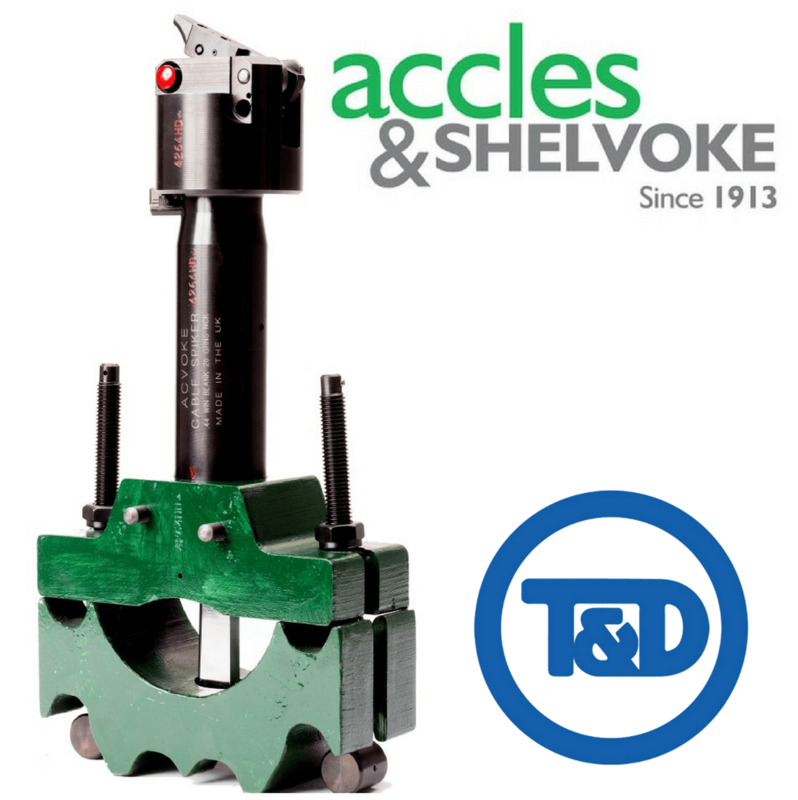 Thorne & Derrick distribute Cable Spikers for low, medium and high voltage electrical systems, typically used to spike 11kV-33kV power cables and manufactured by Accles & Shelvoke and Tyco Bowthorpe – we provide competitive prices for cartridge and hydraulic type cable spiking tools from stocks to UK and international destinations. The purpose of cable spiking is to prove that the cable spiked is not Live. Cable spiking using the correct tools provides evidence of the state of the LV, MV or HV cable but it should not be taken as proof of the identity of the cable. Following positive MV-HV cable identification cables should be spiked using cable spiking tools to ensure the circuit is not Live at HV – cables are often preliminarily spiked to enable jointing or terminating of faulted 11kV/33kV cables. Spiking tools are generally used under the supervision of an Authorised Person at all fault levels and system voltages including 11kV, 33kV, 66kV and up to 132kV. In the UK, cables are usually spiked using an Approved spiking tool or gun (cartridge or hydraulic type) at any point at which the cable is to be cut. The Accles & Shelvoke cable spiking tool for use on MV-HV power cables with single or 3 cores, unarmoured or armoured (SWA) enables the cable jointer to remotely drive a chisel shaped spike into the sheath and through the power cable – this effectively short circuits the power supply and confirms the cable to be de-energised (“dead”). The cable spiker should always be remotely fired safely by the use of the lanyard ensuring no persons are in the vicinity of the spiker at the point of firing the tool. Cable clamping accessories are available to cater for the spiking of single core medium/high voltage cables installed in trefoil formation – the spiker clamp consists of a parallel sided slot in which the 3 cables to be spiked, together with a short length of scrap cable of the same construction and voltage, are placed in a “2 over 2 cable” configuration.The additional short length of scrap cable is always placed in the bottom of the spiking tool slot – the parallel sides of the slot prevent the MV-HV cables from moving apart when the spiking gun is fired and all four cables are penetrated. Note, the cable clamps are not restricted to use with single core polymeric (XLPE) cables and can be used with 3 core cables if one of the slot is of appropriate width for the cable to be spiked. Some slight extra packing can be added under the 3 core cable to elevate the cable sheath to the correct level to accept the cable spike – this also ensures the spike is fully retracted before firing. When spiking 11kV Triplex cables a single core of the Triplex cable can be used as packing. If during the cable spiking process the cartridge malfunctions and fails to fire remain at a safe working distance for a minimum of 3 minutes before approaching the spiking tool to replace the cartridge. Primary Substations – if the cable to be spiked is supplied from a primary substation fitted with ASC then this should be bypassed before the cable is spiked. Once correct spiking has been confirmed the ASC shall be restored to normal service. Care must be taken to select the correct cartridge for the type of cable to be spiked. After use cable spiking equipment should be checked, cleaned and oiled and there must be a procedure to ensure this is carried out and recorded. There may be occasions where it is required to undertake repair, jointing and termination work on one or two of the single core cables – it would therefore be undesirable to cable spike and damage all three. If only one or two of the single core cables are to be spiked, then insulation tests before and after spiking should be conducted, to confirm that the correct circuit has been spiked. It would necessary to use an instrument that applies a sufficiently high voltage to detect the damaged cable caused by the spiking. This is necessary, as the single core cables may be completely severed by the spike and may appear as an open circuit (and therefore healthy), if the voltage applied by the instrument is too low. Incorrect Spiking Of A Live MV HV Cables – the resultant damage will operate the source protection of the live cable and cause an alarm to be triggered at Control. If there is “downstream” protection on the MV-HV feeder, before the point of cable spiking, or if the cable belongs to another party, then it is probable that no immediate information will be received at Control. An incorrectly spiked high voltage cable, belonging to another party (such as an IDNO Independent Distribution Network Operator) could be re-energised by that party, following its initial cable spiking and consequential circuit tripping. This would result in serious danger – it is therefore essential to obtain positive verification by an approved methodwhen identifying a cable by signal injection. Incorrect Spiking Of A Dead, Isolated Or Abandoned LV, MV Or HV Cable – there would be no indication of an incorrect spiking to the cable and it should be appreciated that if a spiked isolated cable was to be unknowingly energised, serious danger would result. Incorrect Spiking Of An Live Low Voltage Cable – the spiking tool and process may not produce any observable signs (such as sparks, flames or smoke) that the cable is live. It should be appreciated that after the spiking of any cable then the cable could still be live on one or more phases which could also make the spiking gun live. ➡ Should you require customer service or technical support about the safe isolation or de-energisation of LV, MV or HV cables prior to jointing or terminating please contact us – view the full range of Cable Spikers below.